The basic items plus accessories! Hey Ladies! 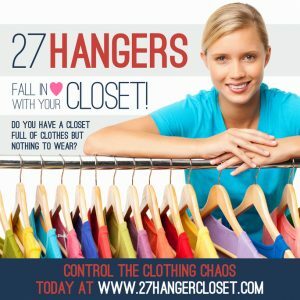 I hope you’ve had some fun working on your closet! I know how excited and accomplished I feel whenever I go through my closet. It’s always great to start with a clean slate. Now that you have only the items that you love, are a great color on you, and that fit you well hanging in your closet; it’s time check to see if you have the Basic 12 items for a great wardrobe foundation. Keep in mind that these items are the pieces that you use daily to mix and match with your seasonal or trendy clothes. They are the “Must Haves” for your closet. You can think of them as the butter, sugar, flour, and eggs for a great cookie recipe! Once you have purchased these 12 items it’s time to begin thinking about the REALLY fun things you can add to your collection. These additions become the accents that help present your personal style. For example, the image above represents a “classic modern” style for the person who wants her wardrobe to last and not be to trendy. However she does like to add a pop of color, bold print, or some subtle sparkle with jewelry. Before you head out to go shopping make sure to take your shopping list, take a picture of any clothing items you want to mix or match with accessories, tops, skirts, pants, etc. Take a few minutes to look at blog or two for style ideas that work with what you own and may want to update. Don’t be afraid to try a trendy look, just keep in mind that the goal is to always have clothes that you will wear and not take up space in your closet! Next time I will share the “other” 12 MUST HAVES to compliment your style. If you have any questions please feel free to contact me at http://www.lynnaebussell.com/contact I’m happy to serve you! If you are interested in a private consultation, I’d love the opportunity to help you on your journey to a whole “NEW” you! « Eight Easy Steps to Create a Personalized Closet! That is a great list for basics. Now to do it! Thanks Pat! If I can answer any questions please let me know!